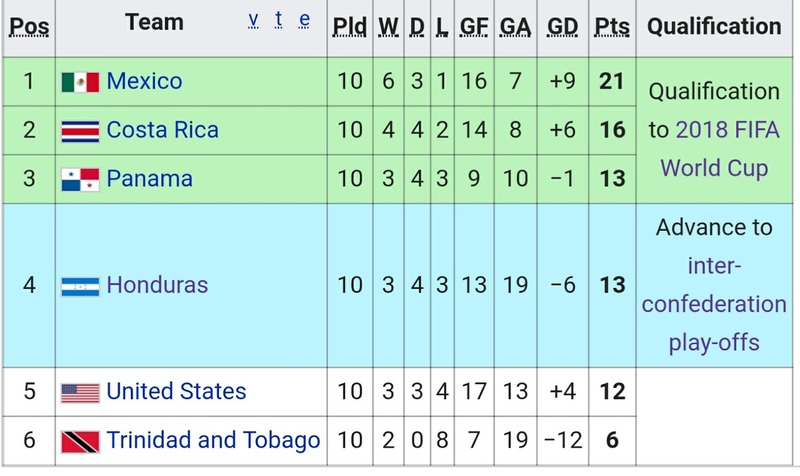 The final round of CONCACAF WCQ was crazy. 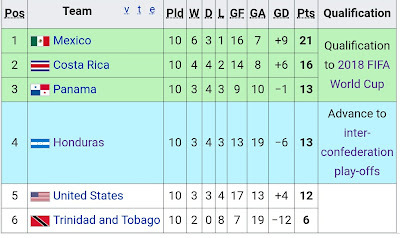 USA got knocked out thanks to a Panamanian ghost goal coupled with a Honduran and Trinidadian and Tobagan upset. 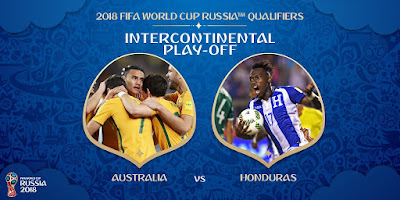 Now we are left with a Honduran match on 10 November 2017 at 4pm Honduran local time (our 11 November 2017 at 9am AEDT). 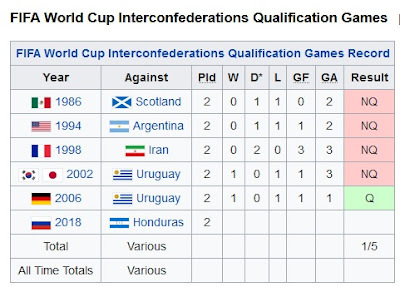 We don't have a good record with final round intercontinental playoffs - we've only won 1 of the past 5 against Scotland, Argentina, Iran, Uruguay and Uruguay. 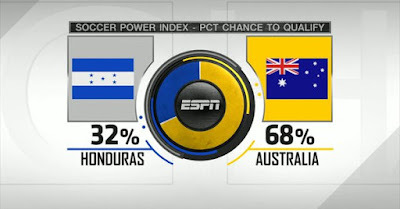 However for some reason ESPN's Soccer Power Index has given us a 68% chance of qualification. Sportsbet gives us a 50-55% chance of qualifying. 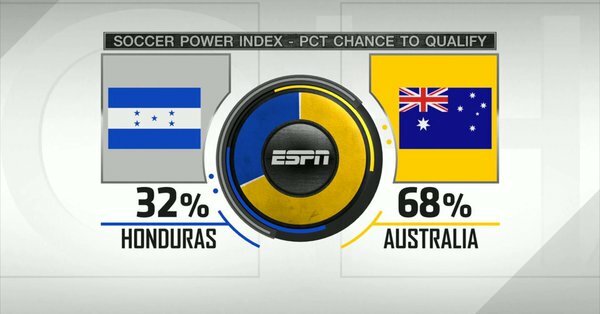 Sportsbet also seems to be quite optimistic about our chances during our away leg - only giving Honduras a roughly less than 50% chance of a win. BWIN disagrees, giving Honduras the clear advantage for the first leg. 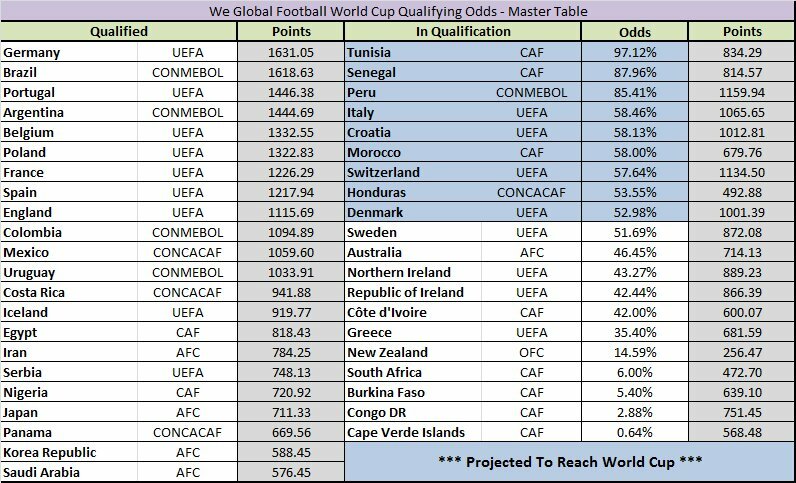 WeGlobalFootball doesn't agree either with Sportsbet, projecting a Honduran sweep and giving them a 53.55% chance of qualifying. 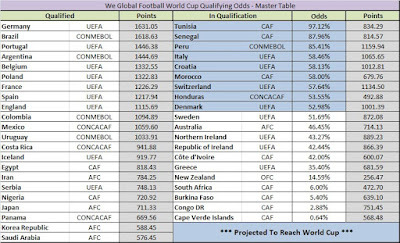 TAB odds for Australia's home leg look promising, though. 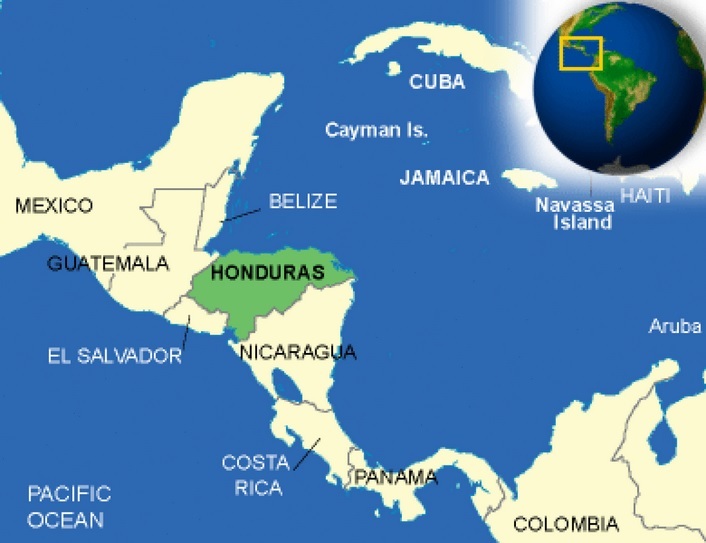 What to expect from the Hondurans? Weather: A tropical, humid and hot day with possible showers. This is a deliberate tactical decision on the part of the Hondurans to play their recent qualifiers at 3pm or 4pm, where the heat is arguably the strongest at this time of day. Their players would be acclimatized to such conditions. "Australia is not a power - and they are English styled, relying on long balls"
"Australia should fear us, but only on the sporting pitch - claims that fans outside of the match will attack or be hostile towards the Socceroos are unfounded." "This repechage match will not be easy. Australia has great players but I am confident that coach Pinto will take Honduras past Australia. "- ex-Honduran coach. 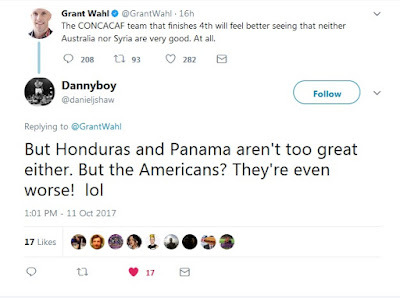 "The Socceroos are playing into the Hondurans' hands by not flying there on the day of the match." Honduras are the champions of the 2017 Copa Centroamericana, ousting Costa Rica and hosts Panama. Honduras won 4 games and drew 1. 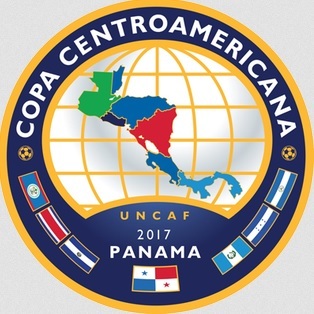 Their record in the CONCACAF Hex is mixed. It seems like they have the potential to lose big away from home. This could be the key. 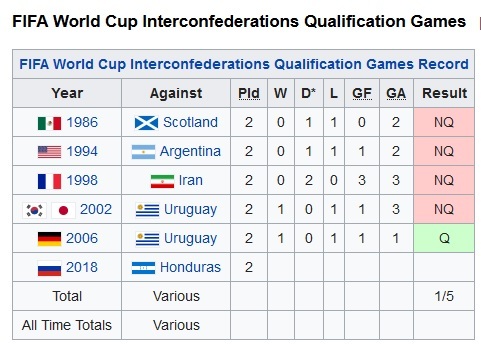 Any of the scorelines above that their opponents have come up with at San Pedro Sula would actually be good for the Socceroos. We should also expect a hostile Central American crowd. 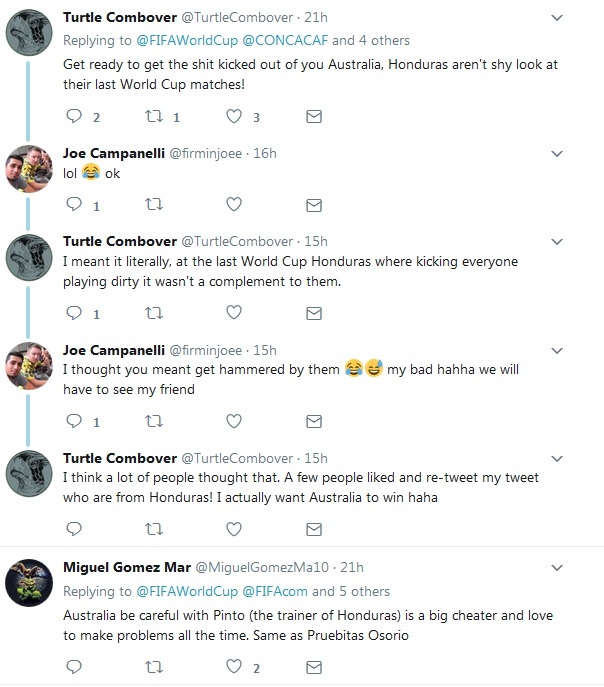 The Socceroos have decided against camping in Nicaragua (supposedly the safest country in Central America) or Miami. They will instead take on the bull by its horns and arrive in three groups (from memory), with the first group possibly arriving 4-5 days ahead of the 10 November 2017 kickoff. Australia will supposedly get a charter flight that will make a 17 hour journey from San Pedro Sula to Sydney. (If they went commercial, it would take at least 24 hours+, and possibly 37 hours). 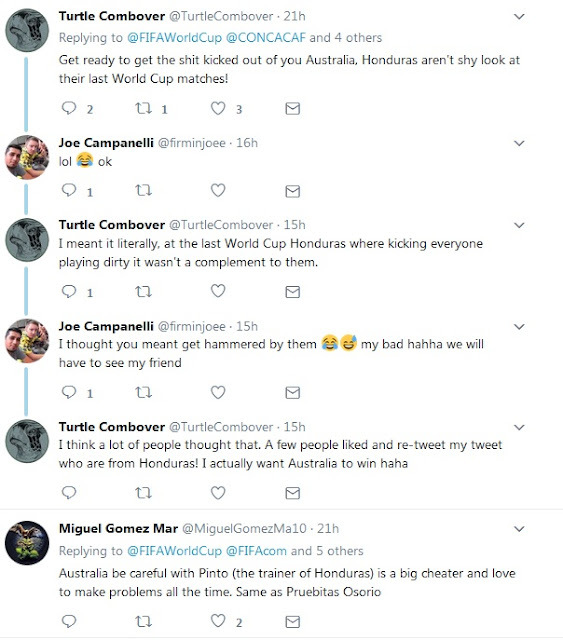 Apparently, FIFA has provided AUD$200,000 funding to each of the 4 intercontinental play-off nations (Peru, NZ, Aus, Honduras) to assist them with their travel. What we are talking about here is arriving on Sunday morning 12 November (charter flight) vs arriving on Monday (commercial flight). A world of a difference! 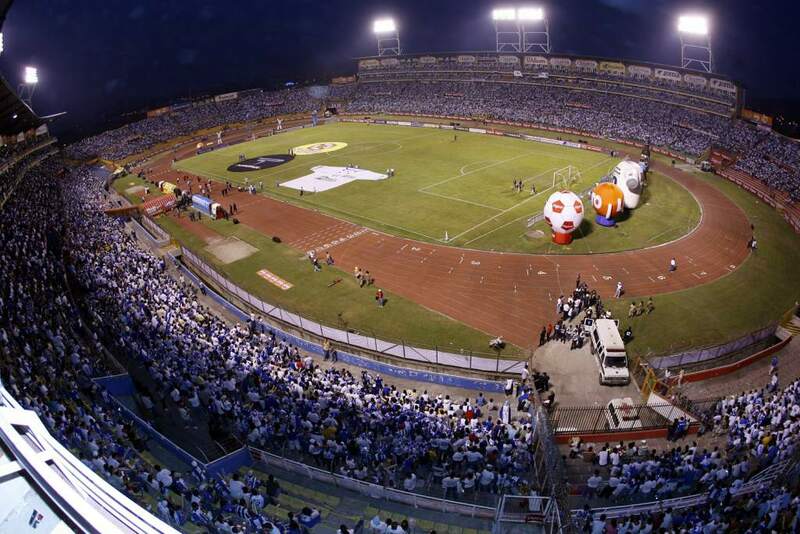 Apparently Leckie and Milligan are also out for the first tie in San Pedro Sula so it would seem that they will not be travelling to Honduras. The rumours of him leaving did not help - and he didn't exactly clear the waters either. However, today's talk was one of his more impressive and composed interviews. I liked how he was positive about the trip to Honduras. Let's hope the team is focused. PS. Apparently NZ and Peru have both sought the financial assistance of FIFA - they want to share a charter flight back to Peru!! Imagine being in the same plane as the enemy. I also saw that 20,000 tickets were sold for New Zealand's first leg at Westpac stadium...in the first hour!